Find out everything you always wanted to know about the star-studded cast of High School Musical. Take a sneak peek inside this scrapbook and see the stars up close. 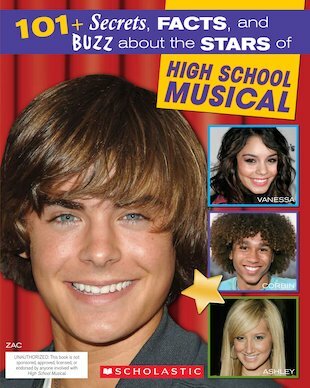 Packed with behind-the-scenes gossip and star secrets, this is the book for you if you’re a High School Musical fan! This book was GREAT!!!!!!!!!!!!! !5 Stars! Full of information and fantastic!!!! It is really good because it tells ou loads about hsm. It was ok I recommend it to all fans who havent read it.